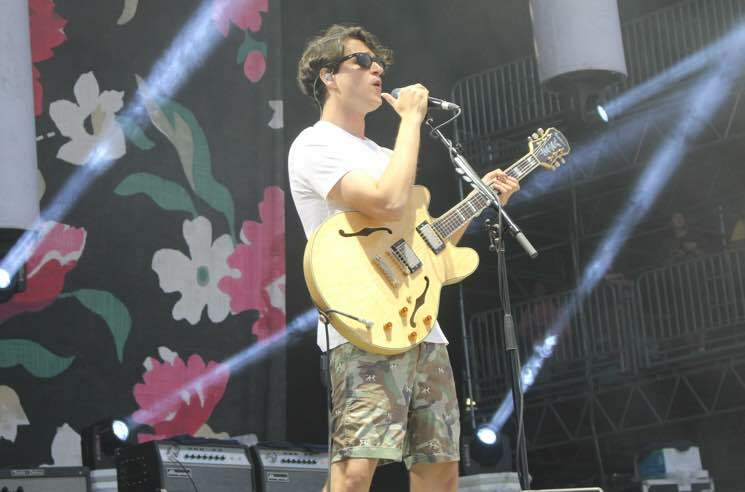 Vampire Weekend return with their long-awaited next album Father of the Bride later this spring, but in the midst of their latest promo tour, the group opted to cover someone else's song —"Sunflower" by Post Malone and Swae Lee. The band stopped by BBC Radio 1's "Live Lounge" earlier today, delivering a cover of Posty and Lee's "Sunflower" from the Spider-Man: Into the Spiderverse soundtrack. It's not to be confused with Vampire Weekend's own track of the same name, of course. Vampire Weekend also played "Harmony Hall" from their upcoming LP, and you can listen to both tracks here. The "Sunflower" cover starts at the 8:45 mark. Father of the Bride arrives May 3 through Columbia Records/Spring Snow. As previously reported, Vampire Weekend have also mapped out a North American tour, and you can find the dates for that here. Post Malone and Swae Lee Share "Sunflower"